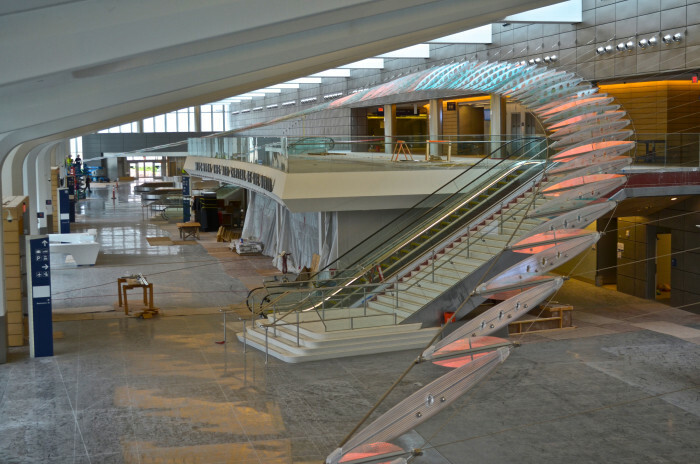 Stainless steel, galvanized carbon steel, laminated glass. 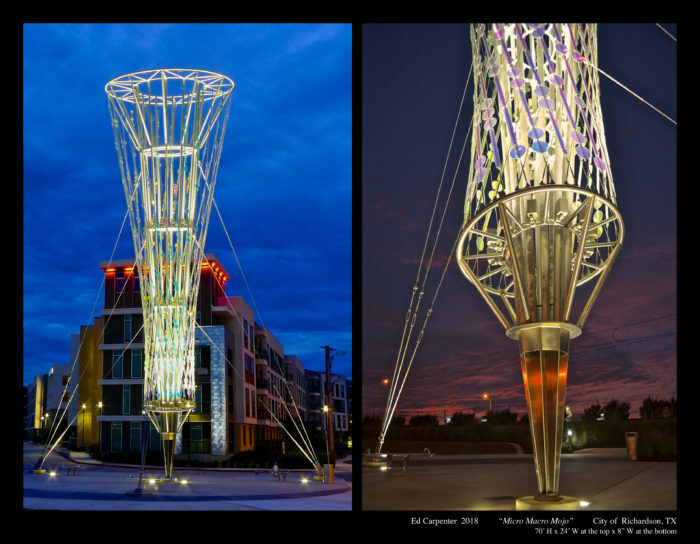 Commissioned by the City of Richardson, Texas. 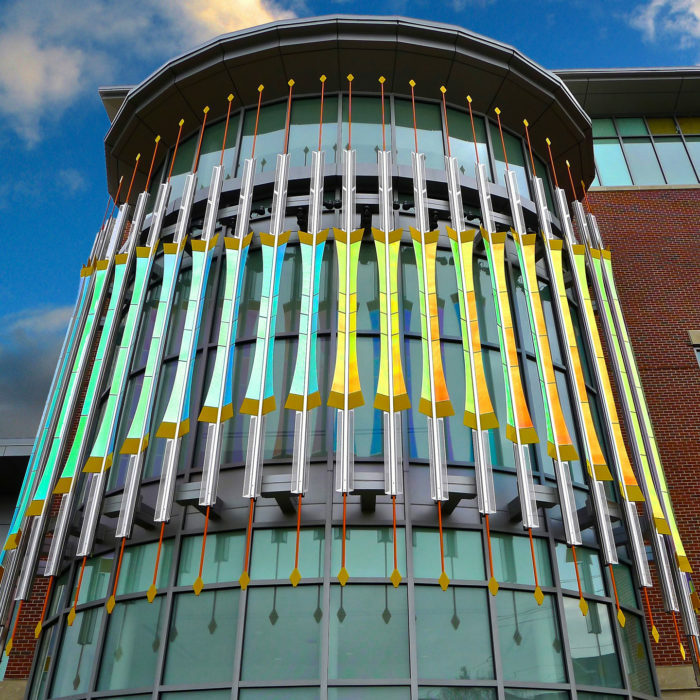 December, 2016: 35’ x 35’ laminated glass, stainless steel, and aluminum sculpture for Rohrer College of Business at Rowan University. 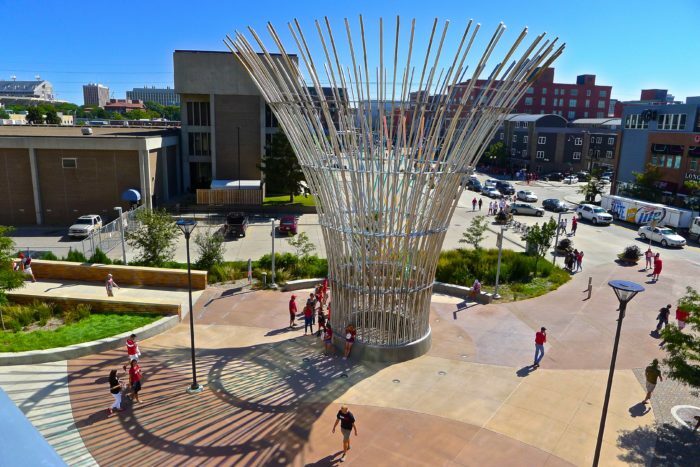 “Harvest” for Pinnacle Bank Arena Plaza in Lincoln, Nebraska, completed. 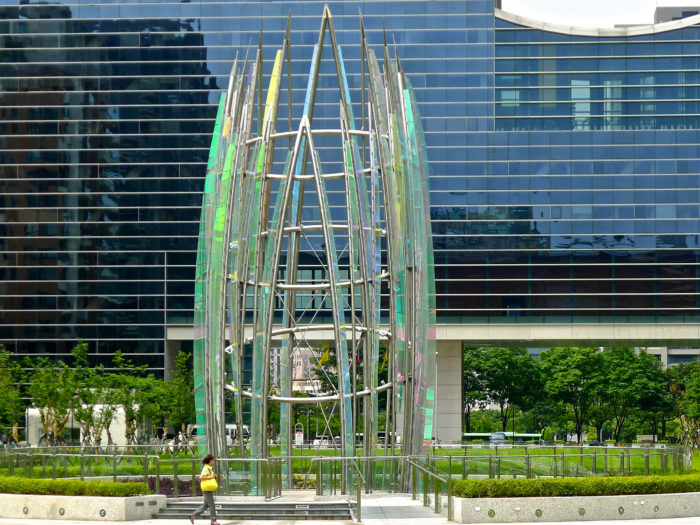 Celebrating Completion of Grand Civic Sculpture for Taichung, Taiwan. 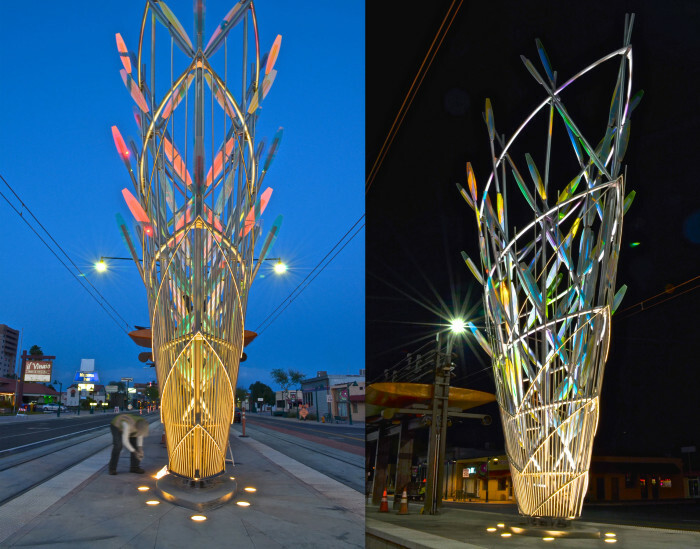 June, 2016 — 72′ high stainless steel and laminated glass sculpture, “Crocus”, has been completed and dedicated in Taichung City, Taiwan. 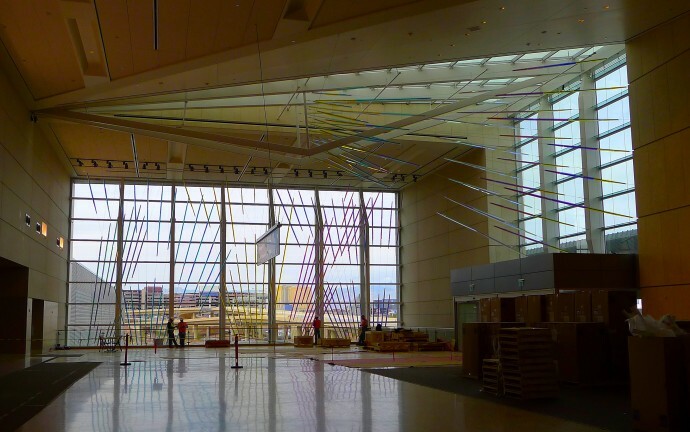 June, 2015 — 360’ long tension sculpture completed at Wichita, Kansas, Dwight D. Eisenhower National Airport. May, 2015 — “Mesaflora”, Country Club Station, Metro – Central Mesa Light Rail Extension. Food, music, remarks, meet the artists. 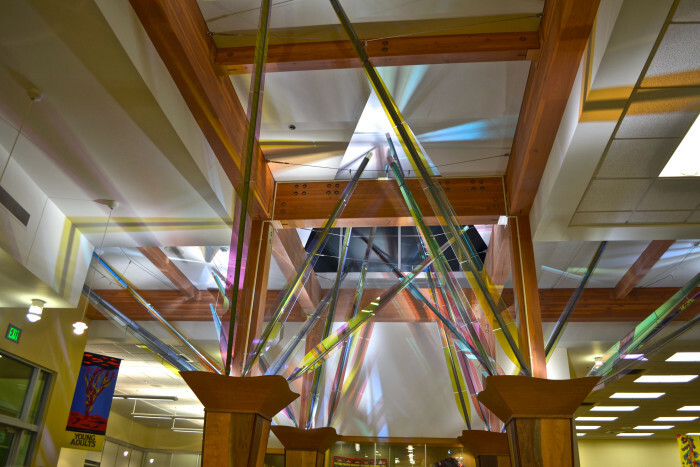 March, 2015 — “Mollie’s Garden”, Forest Grove Library, Forest Grove, Oregon. 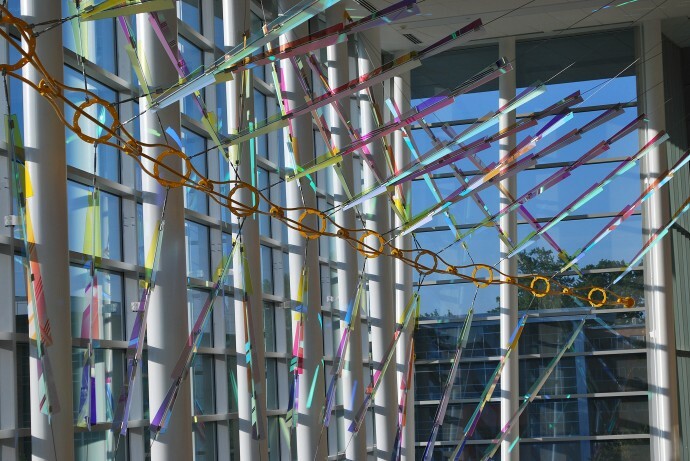 June, 2014 — “Foxglove”, University Hospital, San Antonio, Texas. 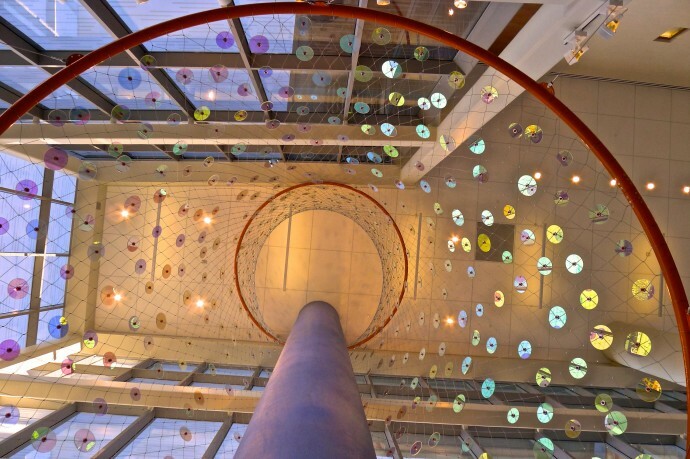 June, 2013 — “Radius”, Ann Arbor Justice Center, Ann Arbor, Michigan. 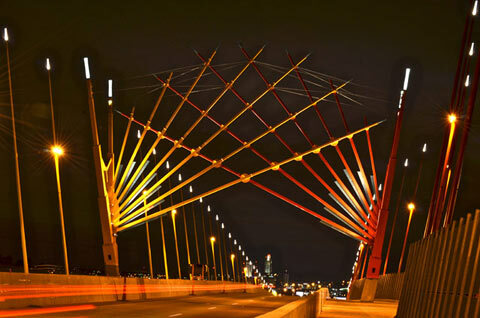 October, 2012 — Monumental Gateway and Half Mile Long Bridge Treatment Completed in Council Bluffs, Iowa. 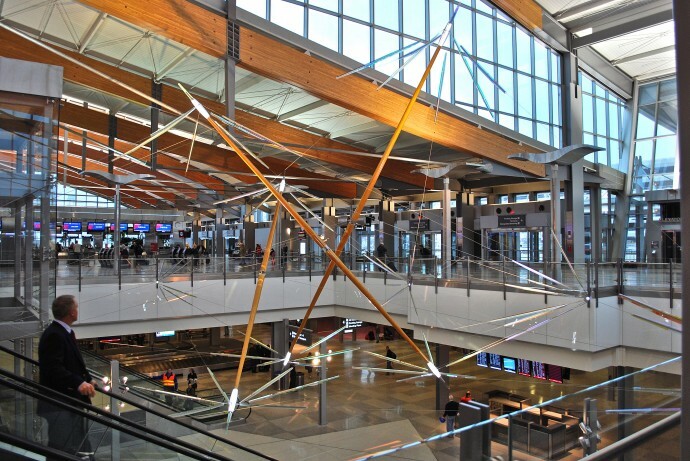 August, 2012 — “Ascendus” installed at Charlotte-Douglas International Airport in Charlotte, North Carolina. 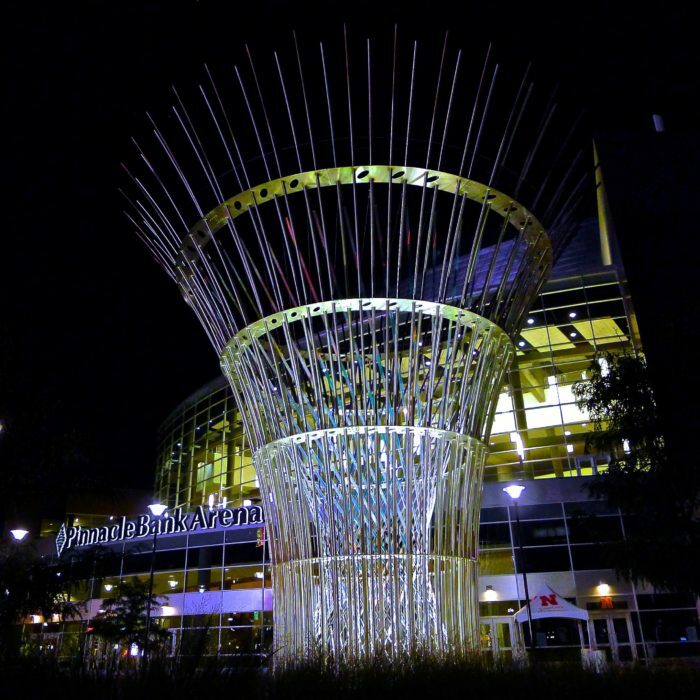 September, 2011 — Ed Carpenter’s “Vessel” for the Fred Hutchinson Cancer Research Center is featured on ArchiTonic. 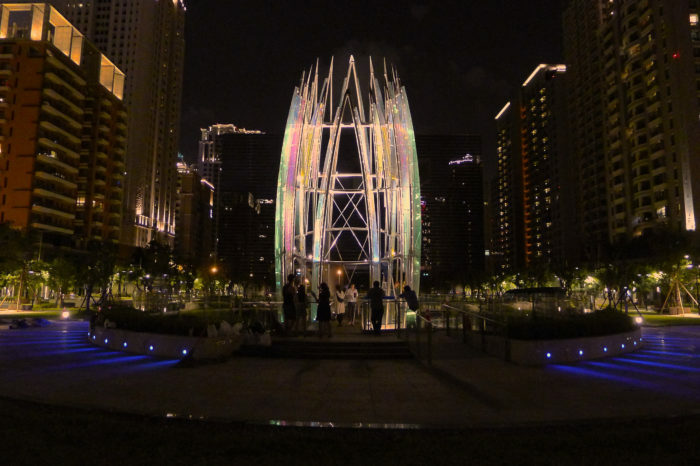 September, 2011 — Article about Ed Carpenter in International New Landscape, China, Sept/Oct #35, Volume 6. June, 2011 — Brody Hall Michigan State University interior sculpture installed. 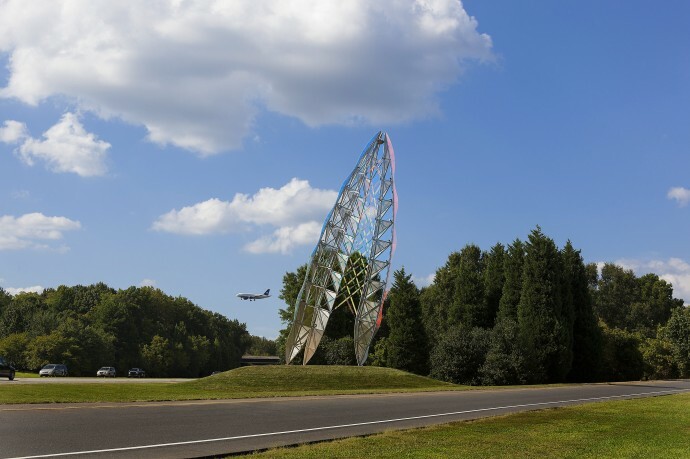 December, 2010 — Raleigh-Durham International Airport is the location of Ed Carpenter’s installation, completed in December 2010 after more than five years of planning. 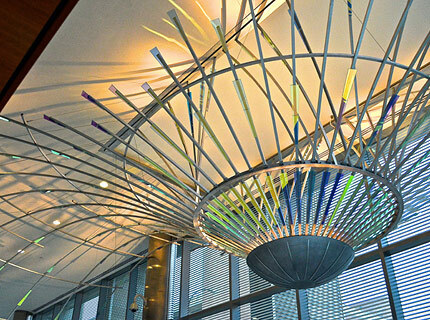 June, 2010 — “Site / Light…The Art of Ed Carpenter” by California filmmaker Peter Coonradt has been selected for screening at the New Media Film Festival, June 11-13 at the Downtown Independent Theater, 251 South Main Street in Los Angeles. 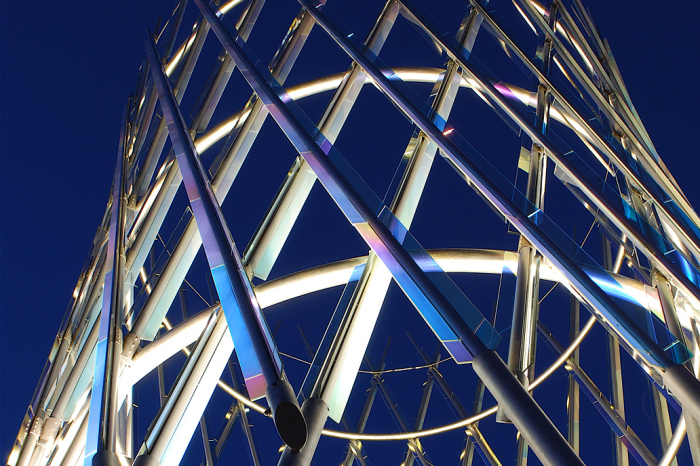 Time of “Site / Light” screening is at 3:00 p.m. on Saturday, June 12. Peter Coonradt has been a professional filmmaker for more than thirty years. Many of his documentary films have been broadcast on local and national public television.